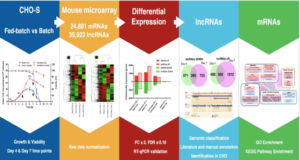 To identify what long non-coding RNAs (lncRNAs) are involved in non-small cell lung cancer (NSCLC), researchers from the Shanghai Jiao Tong University School of Medicine analyzed microarray data on gene expression and methylation. Gene expression chip and HumanMethylation450BeadChip were used to interrogate genome-wide expression and methylation in tumor samples. 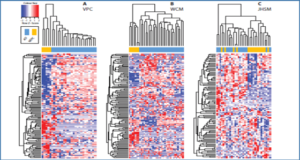 Differential expression and methylation were analyzed through comparing tumors with adjacent non-tumor tissues. 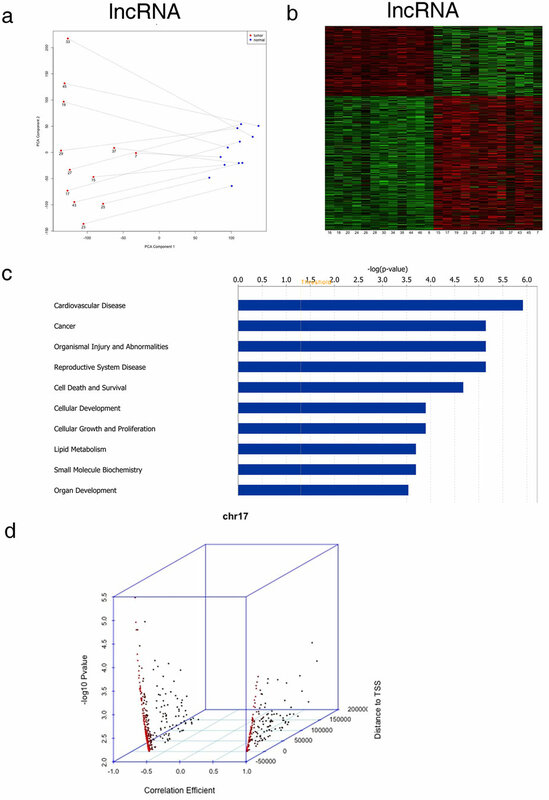 LncRNAs expressed differentially and correlated with coding genes and DNA methylation were validated in additional tumor samples using RT-qPCR and pyrosequencing. 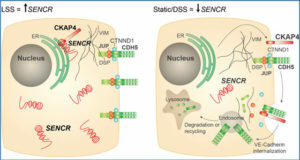 In vitro experiments were performed to evaluate lncRNA‘s effects on tumor cells. 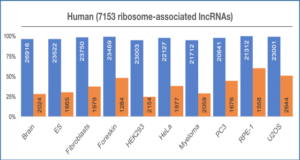 The researchers identified 8,500 lncRNAs expressed differentially between tumor and non-tumor tissues, of which 1,504 were correlated with mRNA expression. Two of the lncRNAs, LOC146880 and ENST00000439577, were positively correlated with expression of two cancer-related genes, KPNA2 and RCC2, respectively. High expression of LOC146880 and ENST00000439577 were also associated with poor survival. Analysis of lncRNA expression in relation to DNA methylation showed that LOC146880 expression was down-regulated by DNA methylation in its promoter. Lowering the expression of LOC146880 or ENST00000439577 in tumor cells could inhibit cell proliferation, invasion and migration. Analysis of microarray data on gene expression and methylation allows us to identify two lncRNAs, LOC146880 and ENST00000439577, which may promote the progression of NSCLC. (a) PCA of all lncRNA expression results from the microarray analysis. (b) Heatmap results based on the top 3,690 lncRNAs significantly associated with tumor samples from the microarray analysis of gene expression. 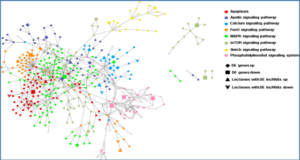 (c) IPA results based on the 1,345 cis-pairs of lncRNAs and mRNAs which were differentially expressed in NSCLC. 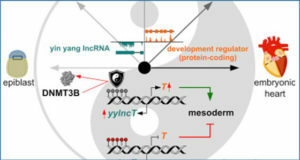 (d) Distributions of the methylation loci that were significantly correlated with lncRNA expression and their associated lncRNAs on chromosome 17. X axis is the correlation coefficient; Y axis is the p value; Z axis is the location of CpG sites in reference to TSS.